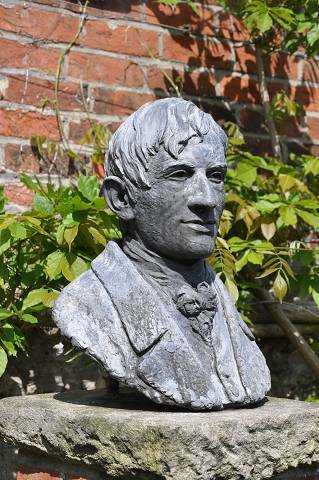 Today we celebrate the Memorial of Blessed John Henry Newman. As we know, after having read an anthology of this great English convert, Mother Julia said to the sisters around her: “My soul has found a brother”. Newman is very close to us, he is our brother, who intercedes for us and sustains us on our journey of faith. Let us recall one thought of Newman on faith. In his major work, “Grammar of Assent”, Newman describes how we come to give an assent to the truth, to the natural and to the supernatural truth. In this book he elaborates the distinction between notional assent and real assent. Littlemore is approximately three miles away from the centre of Oxford and was a hamlet in Newman’s time. 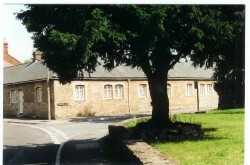 When Newman became Vicar of the University Church of St. Mary’s in 1828, he accepted along with this task, the pastoral care of Littlemore which had been part of the parish for many centuries. “Our faith in Christ, who became poor, and was always close to the poor and the outcast, is the basis of our concern for the integral development of society’s most neglected members” (Pope Francis, Evangelii Gaudium, N. 186). “Sir, don’t worry. 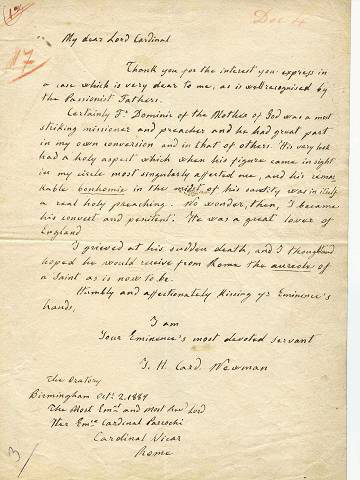 One day Newman will be a doctor of the Church.” This phrase, spoken by Pope Pius XII in a private meeting with Jean Guitton, says everything about the esteem that this Pope had for Cardinal Newman. It was admiration similar to that of Pope Paul VI. 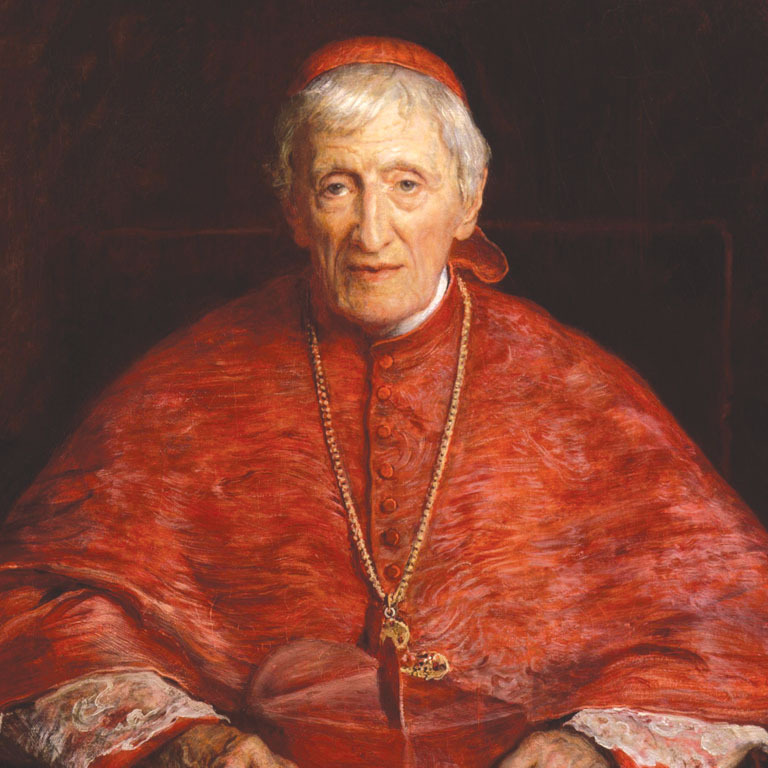 There is no doubt that John Henry Newman (1801–1890) belongs among the most significant thinkers of the modern age. In his Christmas address to the Roman Curia in 2010, Benedict XVI. spoke of Newman – whom he beatified earlier that year on September 19th – and emphasized Newman’s prophetic significance in our own day: “Why was he beatified?